Pond Supplies, Pond Liner & Water Garden Supplies - Aquascape Medium Stacked Slate Urn 45"
Aquascape Medium Stacked Slate Urn 45"
Transform any setting by incorporating the sound of water with the Aquascape Medium Stacked Slate Urn Fountain! 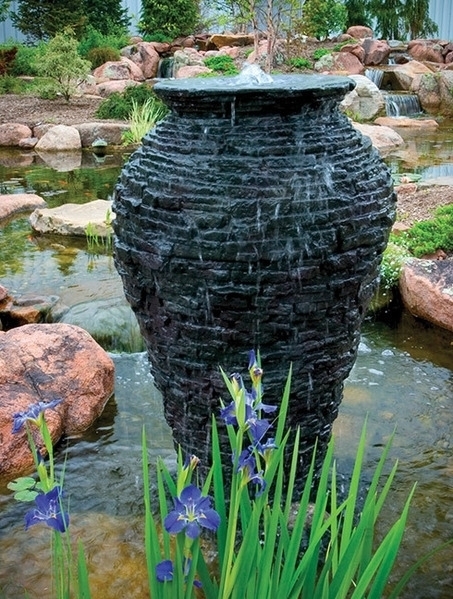 Measuring 45-inches high and 27-inches in diameter, the Aquascape Medium Stacked Slate Urn Fountain can be added to a water basin and pump for a complete, functioning fountain. The fountain can also be added to existing ponds for an impressive decorative accent. 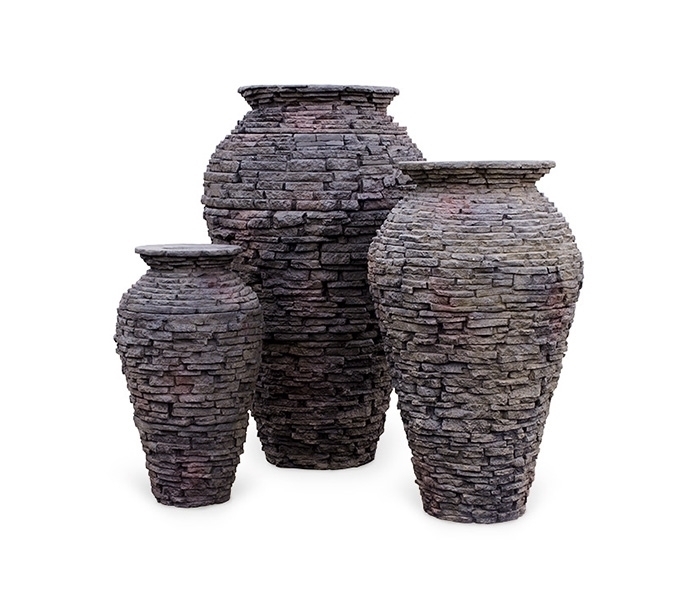 Create a natural paradise in your yard with our Stacked Slate Urn Fountain. The natural rock veneer imitates a natural stacked slate design, will not fade or chip and ages like real stone, providing the perfect fountain for your enjoyment. 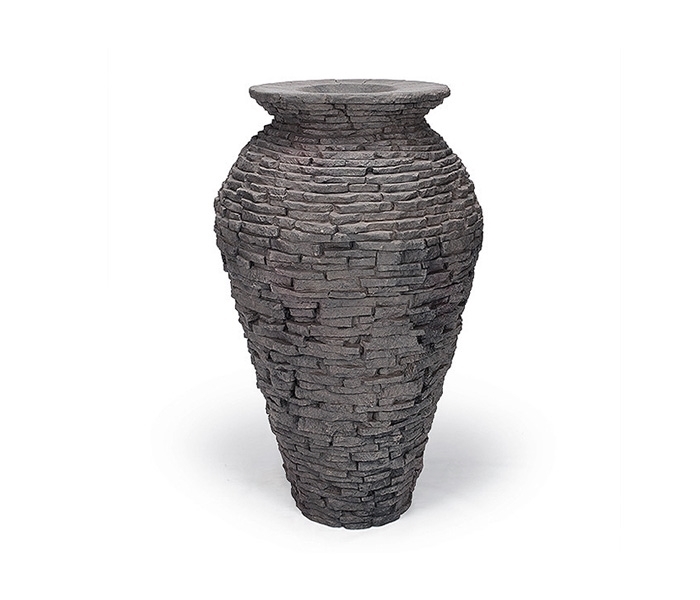 Create a natural paradise in your yard with our Stacked Slate Urn Fountain.